TCP/IP - Abbreviation for Transmission Control Protocol/Internet Protocol, the suite of communications protocols used to connect hosts on the Internet. TCP/IP uses several protocols, the two main ones being TCP and IP. TCP/IP is built into the UNIX operating system and is used by the Internet, making it the de facto standard for transmitting data over networks. TCP/IP uses an IP address a series of numbers divided by a dot example 100.1.1.1. TCP/IP is a connection oriented protocol. UDP – User Datagram Protocol is a streamline economy class version of TCP which is connectionless but is very unreliable compared with TCP which is connection oriented protocol. NetBEUI- Pronounced net-booey, NetBEUI is short for NetBios Enhanced User Interface. It is an enhanced version of the NetBIOS protocol used by network operating systems such as LAN Manager, LAN Server, and Windows for Workgroups, Windows 9 xs and Windows NT. NetBEUI does not support routing and thus cannot communicate in the Internet. DLC Short for Data Link Control, an older protocol use to communicate with Mainframe computers and some older HP network laser printers. PPP Short for Point-to-Point Protocol, a method of connecting to a computer to the Internet PPP is more stable than the older SLIP protocol and provides error-checking features. SLIP-Short for Serial Line Internet Protocol, a method of connecting to the Internet another more common method is PPP (Point-to-Point Protocol). SLIP is an older and simpler protocol, but from a practical perspective, there's not much difference between connecting to the Internet via SLIP or PPP. In general, service providers offer only one protocol although some support both protocols. 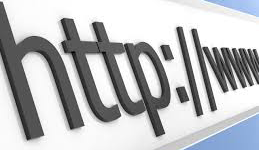 HTTP - Short for Hypertext Transfer Protocol, the underlying protocol used by the World Wide Web. It lets the browser communicate with the web server. LDAP - Short for Lightweight Directory Access Protocol, a set of protocols for accessing information directories. LDAP is based on the standards contained within the X.500 standard, but is significantly simpler. POP3- Short for Post Office Protocol version 3, the protocol used for receiving incoming e-mail. IS-IS - Intermediate system to intermediate system (IS-IS), is a link state protocol used by network devices (routers) to determine the best way to forward data-grams through a packet-switched network, a process called routing. BGP - Border Gateway Protocol when two systems are using BGP, they establish a TCP connection, and then send each other their BGP routing tables. BGP uses distance vectoring. EGP - Exterior Gateway Protocol is used between routers of different systems. IGP - Interior Gateway Protocol The name used to describe the fact that each system on the internet can choose its own routing protocol. RIP and OSPF are interior gateway protocols. EIGRP - Enhanced Interior Gateway Routing Protocol is a Cisco proprietary routing protocol. EIGRP is an advanced distance-vector routing protocol, with optimizations to minimize both the routing instability incurred after topology changes, as well as the use of bandwidth and processing power in the router. SNMP – Simple Network Management Protocol (service protocol use for managing and monitoring networks) Supports SNMP Management Systems, Provides SNMP agents and MIB. SNMP V3 supports authentication and encryption. IGMP – Internet Group Multicast Protocol is use to send multicast group membership to adjacent routers. Multicast is communication between a single sender and multiple receivers on a network. Typical uses include the updating of mobile personnel from a home office and the periodic issuance of online newsletters. NTP – Network Time Protocol is a standard application protocol that sets computer clocks to a standard time source. SMB – Server Message Block is an application-level network protocol mainly applied to shared access to files, printers, serial ports, and miscellaneous communications between nodes on a network. It also provides an authenticated Inter-process communication mechanism. MPLS - Multiprotocol Label Switching is a mechanism in high-performance telecommunications networks which directs and carries data from one network node to the next. MPLS makes it easy to create "virtual links" between distant nodes. It can encapsulate packets of various network protocols. Zeroconf or Zero Configuration Networking is a set of techniques that automatically create a usable IP network without configuration or special servers. RTP - The Real-time Transport Protocol (RTP) defines a standardized packet format for delivering audio and video over the Internet. SIP - The Session Initiation Protocol (SIP) is a signaling protocol, widely used for controlling multimedia communication sessions such as voice and video calls over Internet Protocol (IP). SSL - Short for Secure Sockets Layer, a protocol developed by Netscape for transmitting private documents via the Internet. SSL works by using a public key to encrypt data that's transferred over the SSL connection. TLS - Transport Layer Security (TLS) and its predecessor, Secure Sockets Layer (SSL), are cryptographic protocols that provide security for communications over networks such as the Internet. IPSec – IP Security protocol is designed to provide secure communications between systems. WEP – WEP stands for Wired Equivalent Privacy. This is a security protocol for Wi-Fi networks. WEP was designed to provide the same level of security that a wired network provides. It provides security by encrypting data over the radio waves. WPA - Stands for "Wi-Fi Protected Access." WPA is a security protocol designed to create secure wireless networks. It is similar to the WEP protocol, but offers improvements in the way it handles security keys and the way users are authorized. WPA use TKIP and WPA2 uses AES the most popular encryption in wireless. WTLS - Wireless Transport Layer Security is a component in the Wireless Application Protocol (WAP) protocol stack. It sits between the WTP and WDP layers in the WAP communications stack. MS-CHAP – MS Challenge Handshake Authentication Protocol – Offers more security than CHAP use by Microsoft it supports version v1 and v2. PAP – Password Authentication Protocol –PAP is the weakest authentication protocol that sends username and password in clear text form with no encryption over RAS. RADIUS – Remote Authentication Dial-In User Services – Industry standard authentication protocol that provides authorization, authentication and accounting services. TACACS - Terminal Access Controller Access-Control System is a remote authentication protocol that is used to communicate with an authentication server commonly used in UNIX networks. EAP – Extensible Authentication Protocol a general protocol that provides support for several different authentication protocols often use by wireless devices. (EAP-TLS) uses certificates for user authentication such as smart cards often use with laptops. Kerberos – is a strong secure network authentication protocol designed and created at MIT that Windows 2K/2003/08, XP, UNIX, Linux and Novell use for logging in a network. PKI - The Public Key Infrastructure (PKI) is a set of hardware, software, people, policies, and procedures needed to create, manage, distribute, use, store, and revoke digital certificates. AAA - In computer security, AAA commonly stands for “authentication, authorization and accounting”. This is a misnomer, and should have been “authentication, access control and accounting”. ISAKMP – Internet Security Association and Key Management Protocol is a protocol for establishing security in cryptographic systems. This provides a framework for authentication and key exchange and is designed to be key independent.